After evaluating your current digital marketing strategy, you’ve come to the conclusion that you need expert help with your SEO initiatives. If you don’t have the resources (or the time) to build an in-house SEO team, you could opt to partner with a digital marketing agency. Finding an excellent SEO service provider is crucial to your business growth. Done right, it could generate a huge volume of search traffic and leads, which could translate to increased profitability. Done wrong, it could leave your website penalised by Google and in worse shape than when you began SEO. In addition to this, it’s important that you choose wisely as SEO services do require a substantial financial investment. Effective and sustainable “white hat” SEO strategies won’t happen overnight and they won’t come cheap. 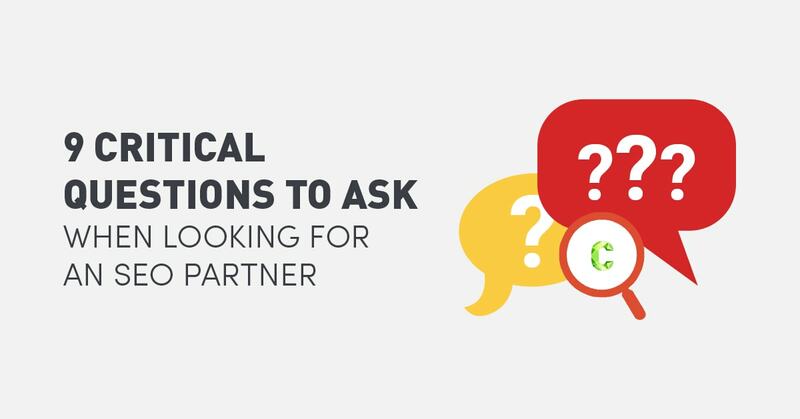 Before you sign that contract, here are questions to ask to help you choose the SEO agency that could meet your business objectives and ensure a significant return on your investment. 1. How will your SEO strategy boost our search rankings? Whether they’re freelancers or agencies, good a SEO partner should be able to provide a well-thought out process on how they will improve your search rankings. They won’t just target keywords and build links without supporting it with a clear rationale. At the very least, the SEO should be able to conduct a basic technical SEO audit, which evaluates how well search engine spiders can crawl your site and index your content. The audit involves finding and addressing web crawler errors, 404 pages, redirect problems, and evaluating site navigation. They would then proceed to identifying the ideal keywords to target and create a plan around how this will be implemented. Ask them how they plan to build links to your website. Good backlinks play a major role in search engine algorithms and will positively or negatively affect your search rankings. 2. Can you provide us details on your clients and the work that you did for them? Just like when you’re shopping for merchandise, you’ll want reviews on the SEO’s performance. Who are their clients? Are they satisfied with the SEO’s services? Are there testimonials and case studies on the projects they’ve completed? They should be able to give you 2 to 3 key clients as reference. Give them plus points if the clients have been with them for a couple of years. Moreover, they should be happy to share with you the results of their projects. Failure to do so could mean they weren’t able to deliver on their promise, or they don’t have the capability to service a growing business just yet. 3. Do you follow best practices? A good SEO partner consistently follows best practices established by search engines, as it’s key to long-term traffic growth and avoiding Google penalties. Google alone makes close to 500 algorithm updates a year to improve user experience. These updates are shared by the search engine for reference; the SEO agency should be aware of these changes and adjust their strategies accordingly. One way to test is to ask them to describe a couple of major algorithm updates. Confirm that they know what they’re talking about by looking these up online. 4. Which SEO tools do you use? There are different tools that allow SEO agencies to work more efficiently and to better assess SEO factors. Reporting tools help create customised reports that combine analytics, keyword rankings, and other SEO metrics. Technical SEO tools allow specialists to crawl large sites to identify technical issues that need to be resolved. Research tools gather larger amounts of data in minutes that help advance your campaign. Be concerned if the SEO you’re considering only uses link building tools. These tools are mainly designed to comment on hundreds or thousands of blogs and forums, which create poor backlinks and lead to Google penalties. End the conversation if the SEO uses tools like Xrumer, SEnuke, or Bookmarking Demon. 5. Can you guarantee us that we’ll rank #1 for particular search terms? If an SEO guarantees that they can do this for you in a short length of time, this is a clear warning sign that they may not be using best practices – which could lead to your website’s being penalised. Being always on top of the search rankings is impossible for three reasons. First, no one knows Google’s exact algorithm; this information is proprietary and changes very often. Second, no one can determine when these algorithms will change; all an SEO can do is make intelligent technical decisions based on these regular algorithm update. Finally, penalties can be triggered anytime, without any warning. An SEO will be able to increase your search traffic consistently over time. That’s a more realistic assurance than a promise of a consistent number 1 ranking. 6. What are your metrics for success? How does the SEO agency determine if a campaign has been successful? Do they aim to increase traffic by X% in Y months? Do they work for an X% increase in a specific metric? Do they aim to get a main keyword onto the first page? Asking these questions will help you determine if have the same definition of success as yours, which would justify your decision to hire them. 7. How detailed are your reports? Activity summary – This portion should include current work being completed and work to come. Search traffic – The report should be able to show you the site’s search traffic for the month and if there were any changes from the previous month. Search rankings – This is important especially if you’re aiming for certain keywords. Conversions – How many search visitors are moving on towards actually getting your product or service? Traffic without conversions is a cause for concern. 8. What are your payment terms and contract length? Some SEO agencies offer retainer-based pricing while others prefer to be paid by the hour. Know how much and when you need to pay so you can manage your budget accordingly. The standard method is usually monthly retainer and you can expect to pay anywhere from $1,000 p/m for smaller campaigns, up to $10,000 p/m for larger or very competitive campaigns. If a company quotes $500 p/m with big promises, this is a clear warning sign. If a company wants to be paid by the hour, you will need to ensure that there is a set estimate per month and that there is a monthly maximum. Without these, you could get a nasty billing surprise. Most SEO contracts require their clients to sign on for a minimum of 12 months. This is because it takes at least 6 months commitment to start seeing good results and 12 months is ideal for seeing optimal results. Always best to confirm this with the agency before signing any contract. 9. Why should we hire you over other SEO agencies? A good SEO company should be able to address this question by presenting a portfolio of satisfied clients with thriving businesses along with a clear process on how they plan to get you your desired results. 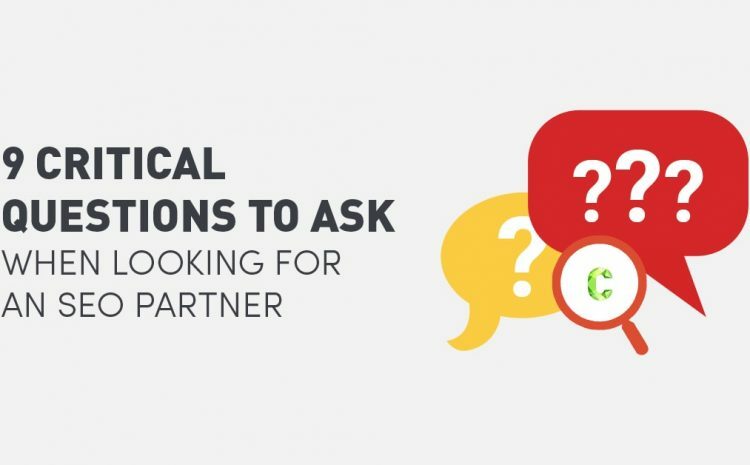 As you hunt for an SEO partner, set expectations early on in the screening process to avoid frustration and disappointment. This includes your expected results, implementation plan, and communication expectations. SEO is a long-term investment. It will take some time before you reap its benefits. With these questions, you’ll be able to weed out the faux experts from the experienced specialists who can help you build a solid and effective SEO strategy.